The recipient for this vehicle is James Whitaker a 27-year-old, recently married, Marine Veteran and Citrus College Student. Although James and his wife have some challenging times, they are always willing to volunteer as needed. James volunteers for the Veterans Success Center at Citrus College to help other veterans with disabilities, “James is a friendly face at the center, he enjoys lending a listening ear and talking to other vets in between his course work at Citrus.” Says Maria Cruz, Veterans Success Center at Citrus College Director. James and his wife, Sarah, are a new family trying to make a new start. Sarah works with special needs children at Cooperative Nursery School in South Pasadena. James is working on his Business Associate degree with aspirations of becoming an accountant. James uses public transportation to and from school. He has a challenging time finding employment due to his lack of reliable transportation so financially they are having a difficult time. In their free time James and Sarah volunteer at animal rescue shelters and help lost animals find a new home. Seidner’s Collision Centers is a recognized leader in the auto collision industry with thirteen locations in San Gabriel Valley and the Inland Empire of Los Angeles, CA. Seidner’s Collision Center is a family owned organization with over 55 years of experience in extraordinary service to all their guests and business partners. 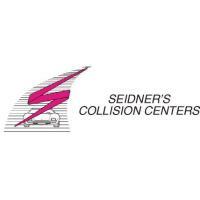 Additional information on Seidner’s Collision Centers is available at www.seidnerscc.com or you can contact us at 888-722-0088. The Automobile Club of Southern California, the largest member of the AAA federation of motor clubs, has been serving Southern California since 1900. Today, the Auto Club’s members benefit by roadside assistance, insurance products and services, travel agency, financial products, automotive pricing and buying programs, automotive testing and analysis, trip planning services and highway and transportation safety programs. Information about these products and services is available on the Auto Club’s Web site at www.calif.aaa.com.